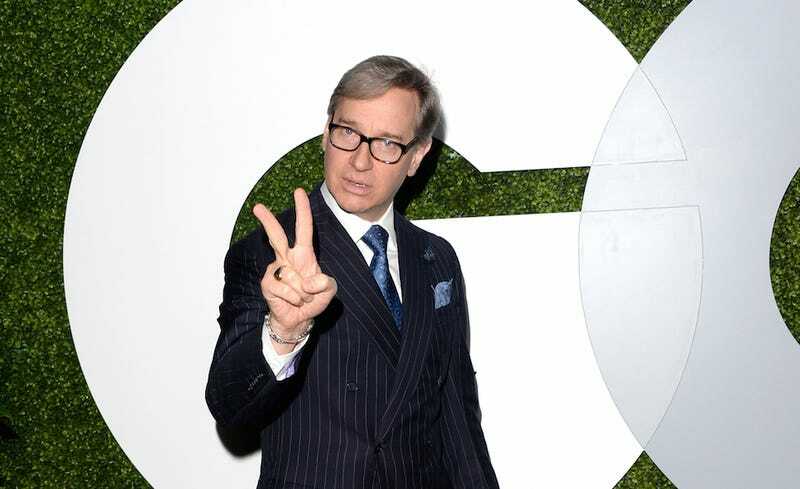 In an interview as SXSW, director Paul Feig had some words for the tsunami of hysterical men spitting venom about his upcoming all-female Ghostbusters film. "The Internet is really funny – I love it, but I hate it at the same time. The first wave when you make an announcement like that is overwhelmingly positive. Everyone's so happy and you're like, This is great. Then comes the second wave and you're like, Oh my God. Some of the most vile, misogynistic sh** I've ever seen in my life." Hey, surfing those bipolar waves of Internet backlash is half the fun! Just kidding. Something else that did not escape Feig's notice: The stunning melodrama inherent in these trolly cavemen's anti-feminist outbursts. "The biggest thing I've heard for the last four months is, 'Thanks for ruining my childhood.' It's going to be on my tombstone when I die. It's so dramatic. Honestly, the only way I could ruin your childhood is if I got into a time machine and went back and made you an orphan." Hey, Paul, guess what: You're the best!